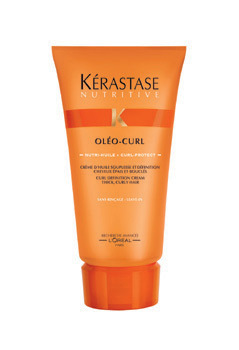 Kerastase Oleo Curl, Curl Definition Cream for thick, curly hair. Curls are regular and well formed and the hair feels soft and shiny. Excess volume is also controlled. Apply to towel dried hair and style as usual. You can use Definition Forming cream on either wet or dry hair, both methods achieve a fantastic curl result.